Some of the features that most men look for in their bedroom is functionality, simplicity, that fits your personality, which is easy to clean and comfortable, a place that can provide comfort and privacy. So I recommend some men's bedroom decorating ideas that are functional and simple, they are for furniture, walls and lightning. see more "30 small bedroom storage ideas" and "25 creative bedroom wallpaper ideas"
The decor of the men's bedroom can use many vintage items, we can get in bazaars or perhaps in the home of a relative. A basic furniture in the bedroom of a man is a desk. Regardless of the material, the desk must be sturdy and sized according to the use that will be given. For example, if a desk where only support some books, a medium-sized furniture will be small enough intended. You also need to take into account the size of the room for a correct choice. 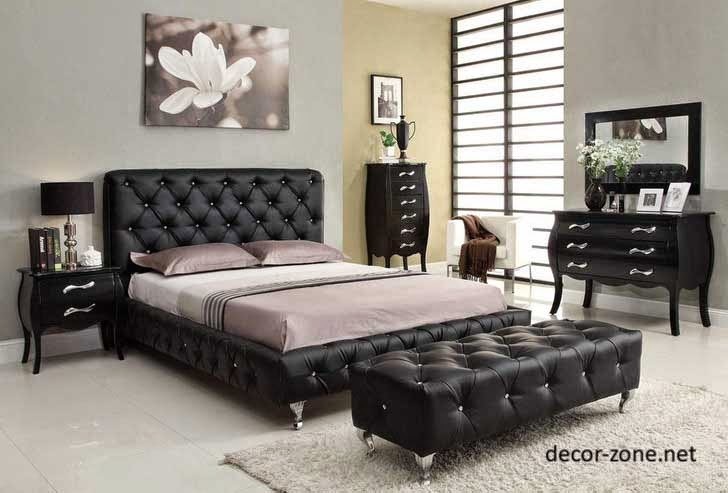 If the room is large you can place a comfortable leather sofa, the material that goes well with the style of a man. The leather is easy to clean, lasts much and hides stains and dirt, but you can also opt for a sofa made ​​of durable and washable fabrics. 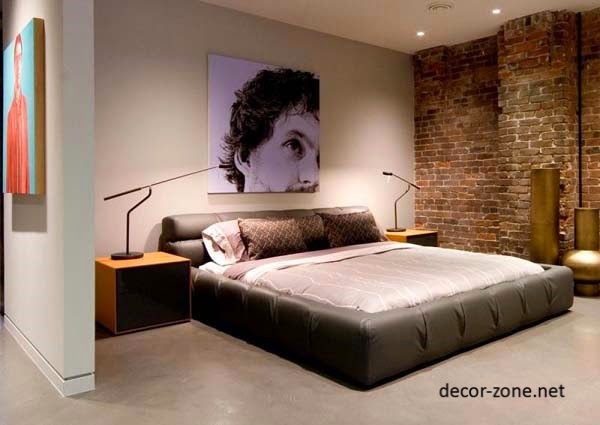 The bed of a man is preferably in neutral color or pattern, like the bedside tables, which should preferably be simple and have drawers for storage. Shelves and bookcases are very practical for men's bedrooms and save a lot of space, especially if they are embedded in the walls and have many divisions. 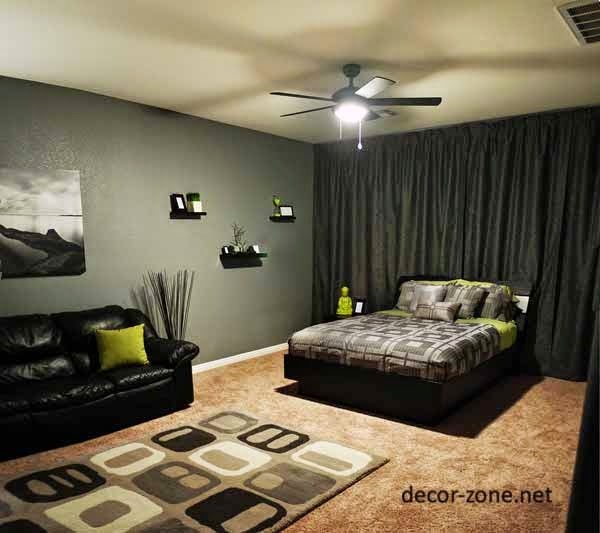 The walls in the men's bedroom should be painted in cool colors like blue, gray, brown, dark green, black or white. 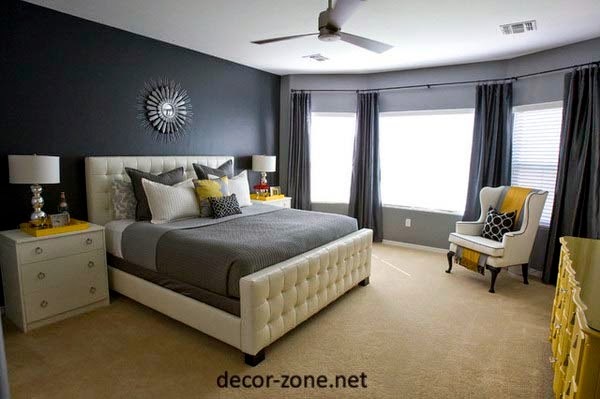 This is not a rule, you can use your favorite color, but generally use strong and neutral colors . The vibrant colors are just as a supplement. If you want to give a warmer air, a dark blue room, for example, can be complemented with wooden decorations or warm tones. 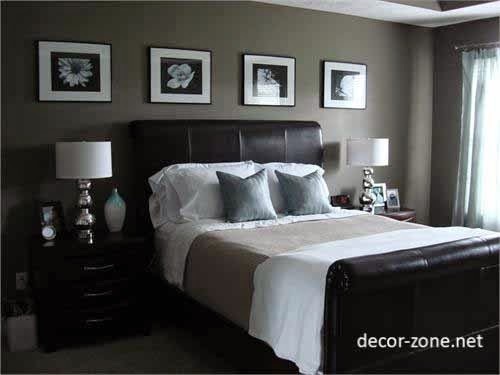 One tip is to use tones that you wear regularly to add a personal style to the room. As for men's bedroom decor accessories, it is preferable to highlight the trophies, medals and awards, plus a painting or poster alluding to the preferred activities of you. tables is better than using old and good wood frames. A good quality watch is a stylish fixture in the room of a man . don't miss "30 small bedroom storage ideas" and "25 creative bedroom wallpaper ideas"